ST. GEORGE — A coyote caught in a trap near a road south of St. George and Washington City on public land frequented by outdoor enthusiasts has ignited concerns about wildlife welfare and the safety of pets and children. Jill Chatelain’s day started as a routine Monday morning when she joined her friend for a walk with their three dogs along a dirt road just south of the Little Valley area, but the day soon made an upsetting turn. 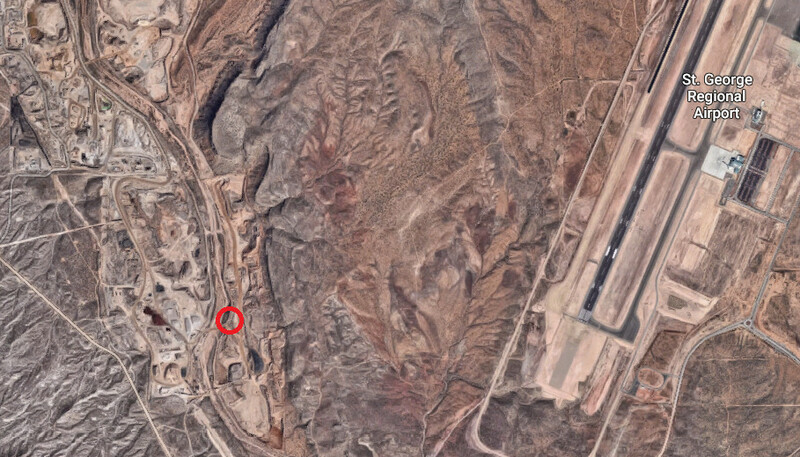 About two miles into their walk through rocky, red-dirt terrain in the hills just west of St. George Regional Airport, the pair’s dogs began barking incessantly near a patch of bushes in a dry wash just off the road. “We realized there was something there that was capturing their attention,” Chatelain told St. George News. Recognizing there may be a problem, the women rushed toward the dogs where they found them surrounding and harassing what at first appeared to be another dog. After making their way into the brush, the pair recognized the animal’s distinctive silver-tan fur coat. The animal’s leg was fastened to a coil-spring leg-hold trap, and try as it might, it couldn’t move more than a few inches in a circle around the trap as the dogs barked at it. “It could do nothing except surrender to the big dogs,” Chatelain said, explaining that she and her friend then moved their dogs away from the area. Not knowing exactly what to do in this situation, Chatelain called Kris Neal, a friend with extensive experience in animal rescue. Recognizing that the coyote’s ultimate fate was death, Neal said her first inclination was to put the suffering animal “out of its misery” by shooting it, but that wasn’t an option available to Chatelain at the time. However, even if Chatelain had been carrying a gun, killing the animal would have been illegal. According to Utah state law, a coyote caught in a legal trap becomes the property of the trapper, who has sole discretion in claiming it for a bounty. Illegally captured animals need to be dealt with by law enforcement. After multiple calls by Neal and others to the Utah Division of Wildlife Resources, a ranger was dispatched to the area late in the afternoon to assess the legality of the trap. The trap was set on state land owned by the Utah School and Institutional Trust Land Administration, which is typically open to public use, including trapping. A trapper has up to 48 hours to retrieve an animal, after which they are in violation of the law. As of Tuesday morning, DWR Lt. Paul Washburn told St. George News rangers are still investigating possible violations committed in this particular incident. The coyote was reportedly euthanized. “In general, when wildlife is taken illegally, we seize the animal and any equipment used to take the animal,” Washburn said, explaining that after evidence is gathered, depending on the type of animal, it is then either donated to people for meat or sold at DWR auction for parts, such as antlers or fur. Regardless of the legality of the trap used to catch the coyote, Chatelain said it was extremely concerning that such a device was planted in an area often heavily populated by people recreating on mountain bikes, four-wheelers, dirt bikes and on foot. Shane Kitchen, the ranger dispatched to the scene, said legal traps must meet certain criteria. However, Neal said such traps are indiscriminate in what they capture. Neal runs the One More Chance C.A.T.S. rescue group specializing in the “trap, neuter and release” of feral cats in Southern Utah. Over the years, she has retrieved several cats caught in traps otherwise intended for raccoons or coyotes. She said the outcome each time has been extensive physical trauma to the cats’ legs. In the last year, she said she’s rescued multiple cats that ended up losing their limbs after being freed from the traps. Maimed and no longer able to fend for themselves, the cats are now living out their lives in her animal sanctuary. However, perhaps more concerning, she said, is the risk such traps pose to people. 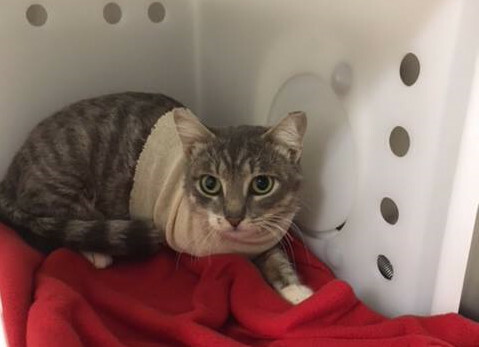 She recounted an incident last year in which three boys came across a trapped cat and were injured while trying to free the animal, which became aggressive and bit them in its anxious state. 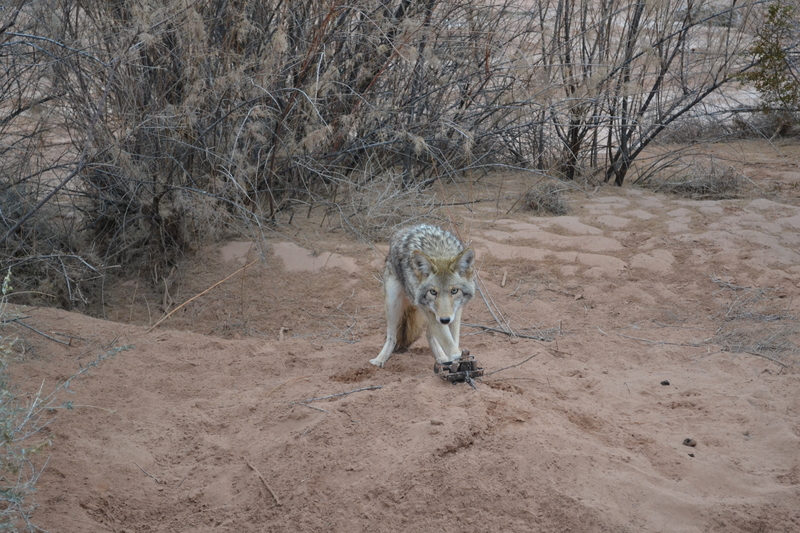 Within St. George city limits, trapping is illegal on city-owned property. 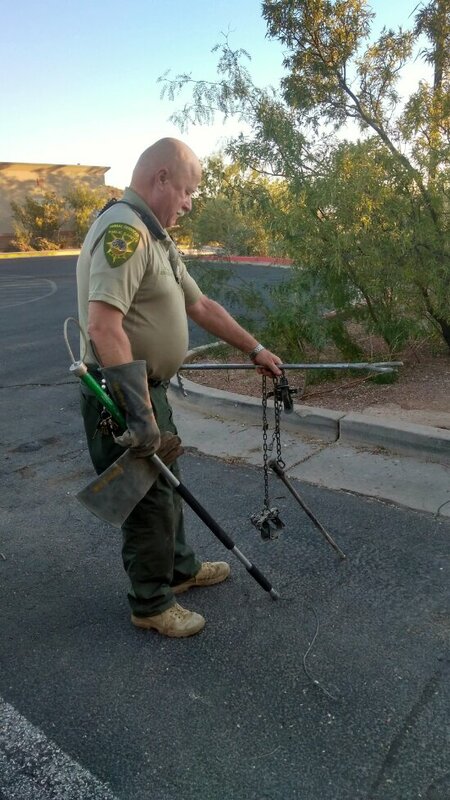 Both St. George Animal Services and the DWR urge anyone who comes across animals in traps not to try to release them on their own but to instead call for help from experienced rangers or animal control officers who can free them and coordinate possible follow-up care. Chatelain said she’d rather see these particular types of traps banned outright. “I’m not saying they shouldn’t trap at all. I think the method needs to change,” she said, suggesting that more humane cage traps could be used as an alternative. While Neal said she would also like to see leg-hold traps banned, she said a more middle-ground approach may be more reasonably achieved, such as more heavily restricting where they can be placed or significantly reducing bounties placed on animals in order to reduce the incentive to engage in the practice. 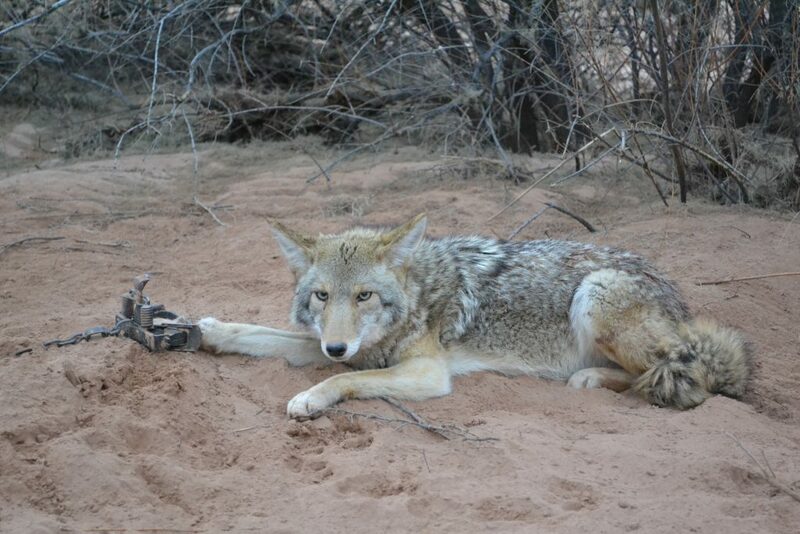 The state currently pays $50 per scalp collected from coyotes. Tuttle said trapping is an effective way to manage wildlife, particularly in Southern Utah. “Recently in Washington County, we have received reports of pets being killed by coyotes and bobcats,” he said. “Trapping near residential areas can be helpful in reducing the number of pets killed by coyotes and bobcats. Trappers are subject to regulation and, in many instances, must be licensed to use certain traps, like the leg-hold traps used to catch coyotes and raccoons. However, in other instances, licenses aren’t required — trappers placing devices within 600 feet of a building used by humans or livestock may do so without first registering with the DWR. Neal said these regulations are often ignored by irresponsible trappers, referencing many instances of skeletal remains found in traps placed by people who never bothered to check on them within the allotted time.